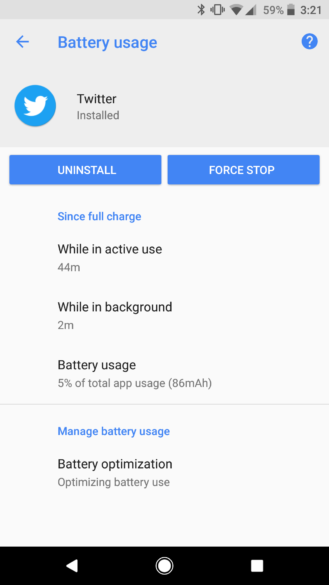 Once you open the App Info panel for a given app and tap Battery usage, there is a new Background activity toggle. 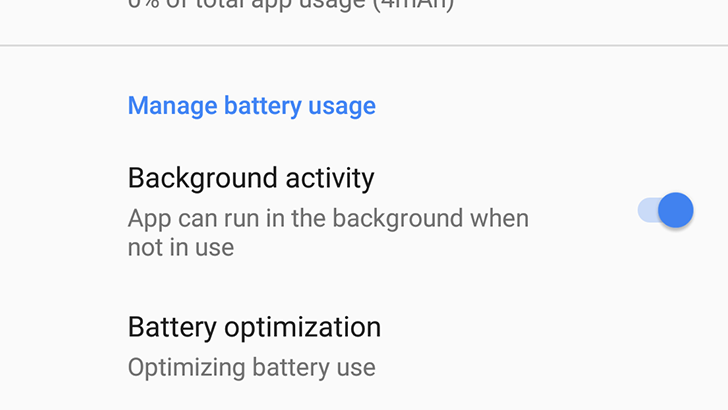 The option name is a little misleading - switching it off won't completely disable an app's background services, just force Android O's battery-saving optimizations on it. As mentioned above, the switch only appears on apps not targeting Android O (meaning apps that aren't yet built with Android O support in mind). For applications already targeting Android 8.0, like Twitter in the above screenshot, the battery optimizations are already enabled and cannot be turned off. 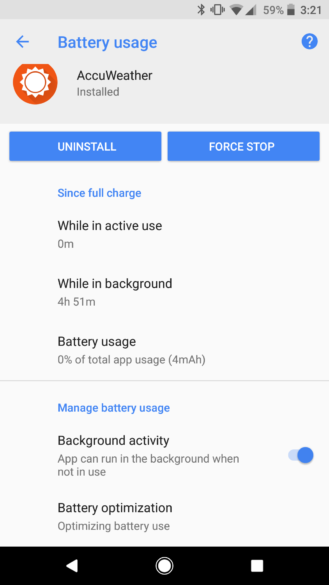 As you might expect, forcing the new background limits on older apps can break notifications and similar functionality. Still, if you use an app or two with battery-draining tendencies, Android O can help you out.